A strengthened BBGA met at Luton Hoo Hotel last week for its annual conference, with chairman Marwan Khalek highlighting the challenges the 174-member group faces, such as airspace access and the threatened closure of general aviation airports in favour of housing. There were, however, a number of bright spots. These include EASA granting approval earlier this month for Single Engined Turboprops to be cleared for public charter IFR, opening up a raft of customers to an affordable new entry level of business aviation and for BBGA. NATS chief Martin Rolfe said change in airspace is now critical to handle increased traffic growth from the UK and to meet the demands of this increased number of smaller aircraft which will fly below the larger jets. The UK, and London in particular, is a buoyant market for business aviation, last year accounting for 78,000 movements. With this in mind, new technology has fast become an enabler for safety, Rolfe said, noting that while general aviation represents 30% of the overall airspace infringement risk, the solution is easy: It simply requires the installation of a transponder, or even just the use of iPad software. 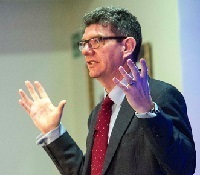 Rolfe also championed local control of regulations, saying the current five-year terms implemented by the government don’t allow for the flexibility the industry requires to progress. On the matter of localised control, there was a heated debate on Brexit. Aldershot MP Sir Gerald Howarth said Britain’s aviation industry is in a strong position, with 40% of US–EU traffic coming into the UK. Nonetheless, CAA chief executive officer Andrew Haines said the political nature of Brexit meant there could be no meaningful assurances about how things could turn out. Haines confirmed the CAA’s main priority for Brexit is to provide thorough contingency plans, but it had no intention of re-forming air traffic regulations, for example, as the industry couldn’t cope, and it was of paramount importance that things operated successfully right from the day after Brexit. There was also much concentration on the necessity of broadening out the business aviation market to engage with and welcome new customers. BBGA CEO Marc Bailey highlighted the association’s recent partnership with the EBAA, whereby members of the former automatically become members of the latter – and UK newcomers join EBAA through BBGA. This meant BBGA will grow in stature as the influential voice for business aviation in the UK, he said. 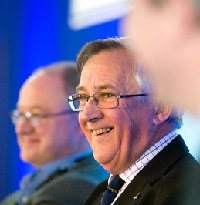 Furthermore, BBGA’s Visions and Values campaign, currently being defined with help from behaviour specialist Sewells, which presented its initial report at the event, will help the association to be more responsive to what members both new and old want. Close Brothers’ managing director aviation Richard Kearsey offered a bank’s perspective, revealing that of around 60 sales to new Cirrus Aircraft owners, 20 represented people new to aviation – “the so-called nursery of the industry” (although their average age was 55). These were the ones that would in future trade up to bigger aircraft! A panel discussion later in the afternoon echoed these sentiments. Surf Air CEO Simon Talling-Smith, whose company is bringing its US airline subscription model to Europe in the next few months, asserted that 85% of its 3,000 members in California came over from commercial airlines and half of them were previously flying with LCC Southwest Airlines. Citing the lack of difference in the product offering between British Airways and the low-cost carriers nowadays, Talling-Smith said he was “going after” the 5% willing to pay a bit more for a better service. Richard Mintern, former Monarch Group chief executive and now chairman of JMG Group and ELMS Aviation, asked: “Who would have thought Frankfurt Main would invite Ryanair in?”, highlighting that change is foremost in the airline industry too – especially since Norwegian has now begun transatlantic low-cost-long-haul operations. Carol Cork, co-founder and director of marketing for PrivateFly, asserted strongly that the broadening of the market was not the beginning of a race to the bottom. She highlighted that while business aviation companies can cut some costs they can’t cut others, and instead of entering a price war with commercial airlines the key was to show corporate travellers the convenience offered by business aviation. Oriens Aviation CEO Edwin Brenninkmeyer, who sits on the board of Linear Air in the US alongside his role as UK sales distributor for the Pilatus PC-12, said Linear was attracting customers from commercial airlines through an innovative partnership with digital sales platform KAYAK. PAs booking corporate travel through the KAYAK platform were presented with an alternative to commercial aviation but through a traditionally commercial channel, he said, making the concept of business aviation seem less elitist and intimidating. The panel agreed the private-terminal FBOs which handle business aviation in Europe are under-used, and that charging smaller operators accordingly for the limited space they take up will bring the prices down for everyone. These revelations added weight to EBAA president Brian Humphries’ message that the more people learned about business aviation, the more positive they appeared to be about the industry. He used this fact to encourage members to be more vocal about what they do, and in turn help further the EBAA’s own multi-million Euro five-year perception campaign with the same mission. This will be presented during EBAA’s AGM, where it will celebrate its 40th anniversary. A special feature of the gathering was BBGA honouring London Biggin Hill Airport owner and chairman Andrew Walters with this year’s prestigious annual Michael Wheatley Award for outstanding services to the business and general aviation industry. 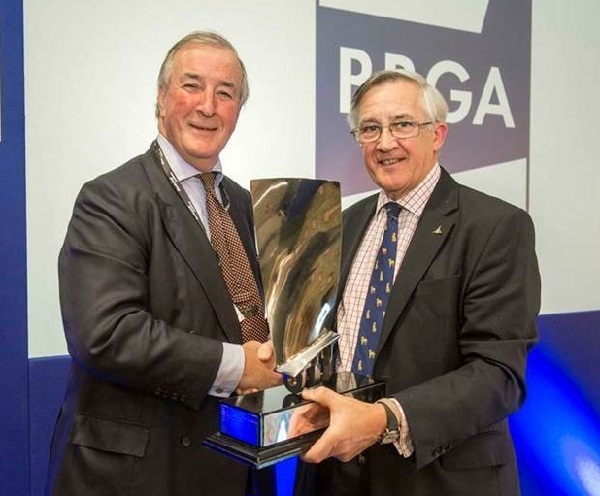 The award was presented by Sir Gerald Howarth MP, while BBGA chairman Marwan Khalek praised the work Walters does for the industry, especially what he called his “effective political lobbying” for the sector. “At a time when airport access is one of our biggest issues, it is good to have a friend who owns and looks after such valuable infrastructure and who has such an active interest in our association,” he added.